George Schaller is vice president of Panthera and a senior conservationist at the Wildlife Conservation Society, both organizations based in New York, as well as adjunct professor with the Center of Nature and Society at Peking University in China. He has explored many remote corners of the planet, conducted wildlife research and conservation work in over twenty countries, and is a prolific author. 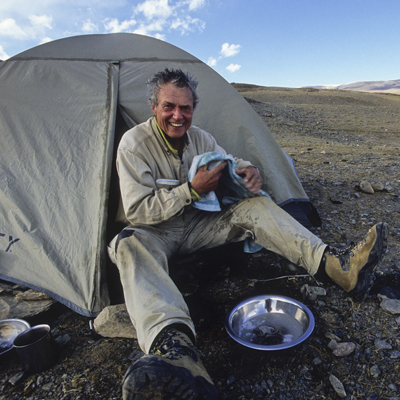 His field work began in 1952 in Alaska and he was part of a 1956 expedition to northeastern Alaska which led to the establishment of America's largest protected area, the Arctic National Wildlife Refuge. Spending most of his time in the field in Asia, Africa, and South America, Schaller has done seminal studies and helped protect some of the planet's most iconic animals. These range from mountain gorillas in the present Democratic Republic of the Congo, tigers in India, lions in Tanzania, and jaguars in Brazil, to giant pandas and wildlife on the Tibetan Plateau in China, and snow leopards and various wild sheep and goats in the Himalaya of Nepal and Pakistan. This work has been the basis for his scientific and popular writings, including 16 books, among them The Year of the Gorilla, The Deer and the Tiger, The Serengeti Lion (a National Book Award winner), The Last Panda, A Naturalist and other Beasts, and Tibet Wild. 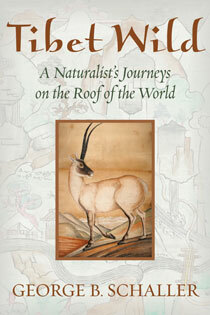 He has also helped to establish about a dozen protected areas in various countries. Over the years, he has received a number of international conservation awards, including the Tyler Prize for Environmental Achievement and the Indianapolis Prize in the USA, China's Baogang Environmental Prize, Japan's Cosmos Prize, India's Salim Ali Conservation Award, and the gold medal of the World Wildlife Fund. With his wife Kay a close colleague in the field, they raised their two sons while on projects in various countries.